These are a soft compound variant of the Tamiya Rally Block tire used in all of Tamiya’s Rally Car R/C kits. 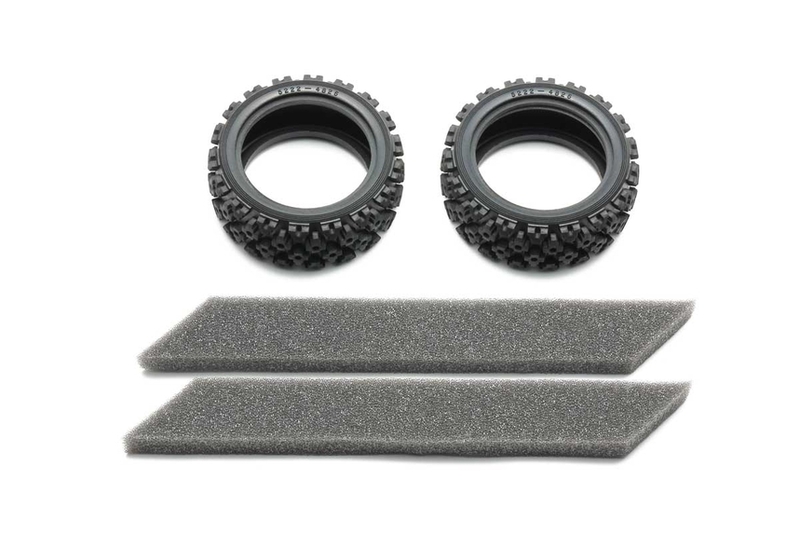 Soft tires provide superior grip in cooler running conditions. •	Re-openable zippered bag included. •	Compatible with 26mm width wheels such as Items 53232 and 53914. •	Compatible with tire inserts such as Item 53156.